Property owners in the Greensboro area work hard to keep their homes and businesses in great condition. Sometimes, acts of nature like floods and ice storms, or plumbing emergencies, can strike and ruin all of that hard work. 911 Restoration of Greensboro offers comprehensive restoration services to commercial and residential property owners. Our IICRC certified technicians can offer prompt service to property owners throughout Greensboro, High Point, Archdale, and surrounding cities. We’ll arrive at your home or business without 45 minutes of an emergency call, 24/7/365. The rainy weather around Greensboro can increase the odds that your property will flood. Property owners in our area also have to worry about winter storms and ice dams throughout the colder months of the year. Cold weather can also lead to frozen pipes and plumbing emergencies. In these winter months, dropping temperatures can lead to disasters in your property. Colder temperatures can potentially cause you to have frozen pipes. If your pipe lines are not well maintained, the moisture from the water in a frozen pipe will expand and create a pipe burst. Consequently, this will lead to additional headaches such as basement flooding and mold growth. It is important that you begin the water damage restoration process quickly. Water can damage the structures of your home or business, as well as your possessions. Prompt water damage restoration can also lessen the odds that mold will begin growing in your property. 911 Restoration of Greensboro can offer the water damage restoration services you need today. Mold grows quickly in areas that are damp and dark. Water damage often provides mold with an ideal place to thrive, especially if you are dealing with basement flooding. 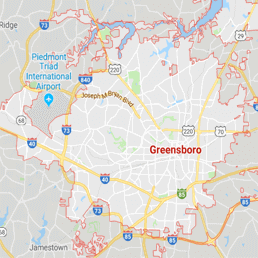 911 Restoration of Greensboro can offer immediate mold removal services around Archdale and High Point. We even offer a free visual mold inspection for property owners only. Mold removal often requires professional help. Different strains of mold must be treated in unique ways, and some forms of mold are dangerous to your health. Our team has the equipment and training to take care of mold removal quickly and safely. The team can make sure that your property is clear of mold through the mold removal process, so you can breathe freely once more. Contact us today to ensure that your mold removal needs are handled properly. Property owners in Greensboro may be used to the rain, but flooding is not the only threat to your property. Fires can also strike suddenly, leading to severe damage around High Point and Archdale. Even a small fire can require fire damage restoration services. Technicians will utilize cutting-edge technicians to finish the fire damage restoration process in your property. Property owners should be aware that water damage restoration is often required after a fire, as well. After all, firefighters may use tremendous amounts of water to put out the flames. This means that you need a full-service restoration company to handle fire damage restoration properly the first time. Complete fire damage restoration services should return your home or business to better-than-new condition. Let us visit your property today to assess the best methods to carry out fire damage restoration for you. We can even pack-out and store your possessions until the storm or disaster has passed. Once the immediate disaster is addressed, the technicians at 911 Restoration of Greensboro can assess your property to determine how best to restore it to perfect condition. Contact us if you need water damage restoration, fire damage restoration, or mold removal services after a disaster. The majority of homes and businesses in the Greensboro area contain intricate plumbing systems. Most of the time, plumbing systems function in the background, never really thought about until there is an emergency. Sewage backups are a major emergency that can strike without warning. Property owners need to seek out immediate help for a sewage backup cleanup. Sewage can contain dangerous pathogens that you should not clean up on your own. Technicians at 911 Restoration of Greensboro can use protective equipment to remove sewage and disinfect your property safely. 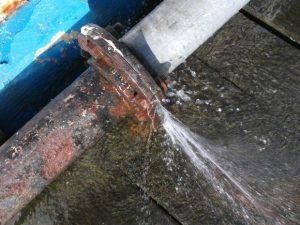 Sewage backup cleanup should be taken care of quickly, to lower the odds that mold will be able to grow in your property. Note that sewage backup cleanup can require water damage restoration and mold removal services, depending on the size of the backup. 911 Restoration of Greensboro is a full-service property restoration company. Our team offers disaster restoration services in Greensboro, Archdale, High Point, and surrounding areas. Let us provide you with the steadfast services you need for water damage restoration, fire damage restoration, mold removal. Technicians can reach your property quickly and won’t give up until your home or business is returned to the pristine condition you remember. Get the help you need by contacting us today.